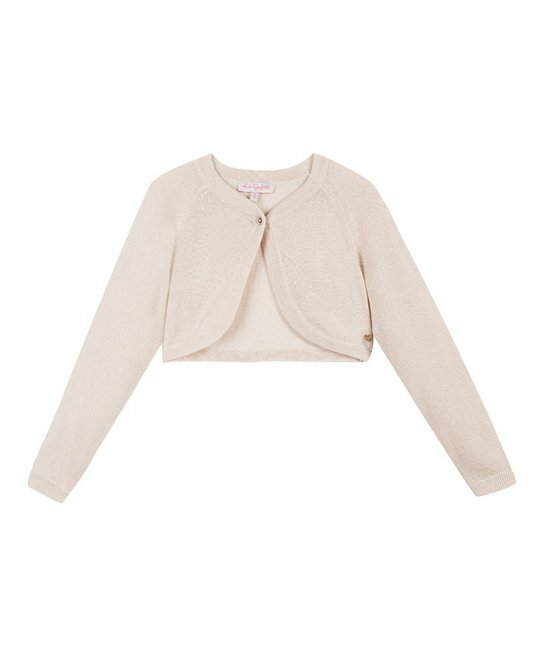 Lili Gaufrette soft pink bolero sweater. 88% Viscose, 9% Polyester, 3% Metallic Fibre. Imported.